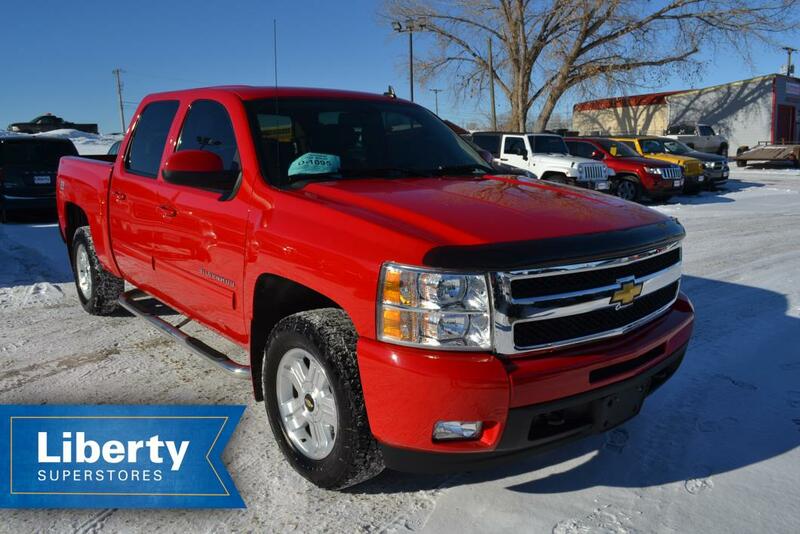 2006 Chevrolet Silverado 2500HD ~DURAMAX DIESEL!~ Beresford Automotive LLC - (605) 763-5044 Check out this super clean 2006 Chevrolet Silverado DURAMAX DIESEL! This is the 2500HD featuring one of the best diesel engines on the market, the LBZ 6.6L Duramax and it's fitted to the 6-speed automatic Allison transmission. 4WD. The interior is in great condition and is equipped with an aftermarket Pioneer DVD/CD player with USB and auxiliary inputs. Cloth power driver's seat, compass mirror, all-season floor mats, keyless entry, trailer brake controller and so much more. 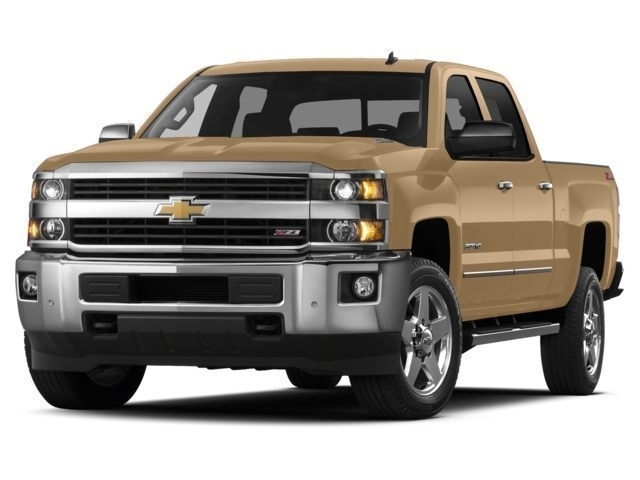 The exterior is in excellent condition and has new Gear Alloy wheels and new 10-ply General Grabber tires, tonneau cover, spray-in bed liner (no 5th wheel plate), a new windshield and more. This truck has been the shop owner's personal vehicle since 2015. Runs and drives excellent and needs nothing besides a new owner! Call 605-763-5044 or 605-212-0713 after hours, thanks! Visit Beresford Automotive for complete inventory. 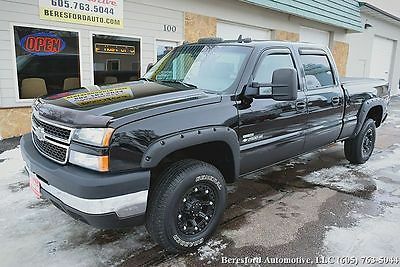 ~ 6.6L Duramax Diesel with 6-Speed Allison Automatic Transmission ~ Pioneer DVD/CD Player with USB, Auxiliary Inputs ~ Spray-In Bedliner with Tonneau Cover ~ New Aftermarket Wheels with New General Tires ~ K&N Aftermarket Intake System ~ Steering Wheel Controls with Cruise Control ~ Needs Nothing, Ready To Go! ~ Trailer Brake Controller ~ ...and much more! 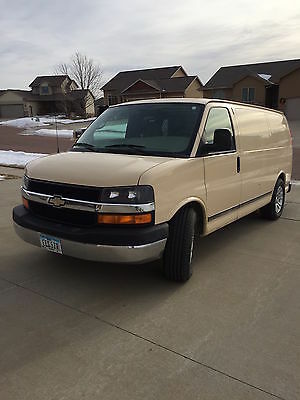 Asking $19995 Beresford Automotive LLC ~ (605) 763-5044 TermsWe can provide pre-arranged, free shuttle transportation from Sioux Falls, SD regional airport. Beresford Automotive is located 30 south in Beresford, SD at 100 East Cedar Street.We do not have any additional document fees or dealer fees. Tax and title fees are buyer's responsibility.The buyer is responsible for all shipping costs. These are pre-owned vehicles and are sold AS IS unless otherwise specified. However, some vehicles may still be under factory warranty or an extended warranty may be purchased. Contact us for more information regarding our optional ASC Warranty Coverage. Deposits are due within 24 hours and are non-refundable. Deposits on vehicles not purchased will be applied towards the costs of paperwork and title production, vehicle relisting fees and lost dealership productivity.Miles posted in this listing may vary slightly due to local test-drives, in-transit repairs or road testing. We accept PayPal for deposit only. Remaining balance must be in the form of cash, cashier's check or bank financing. 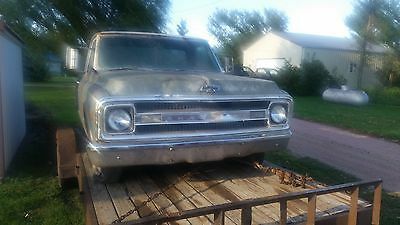 Up for sell is a 1969 CST C10 1/2 pickup long box fleet side . 300 HP 350 V-8 factory . Auto transmission . The CST is the top of the line option for the C10 line up . Good title too . Box bed is rusty . Rest of truck is not bad as you can see from the pics . 1963 Chevrolet Other 1963 Chevrolet Biscayne two door sedan . 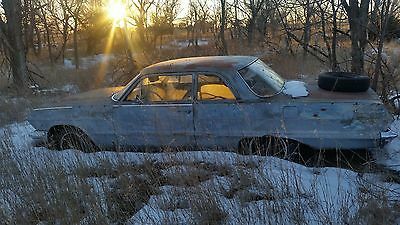 Up for sale is a 1963 Chevrolet Biscayne two door sedan . It is a one owner car too. 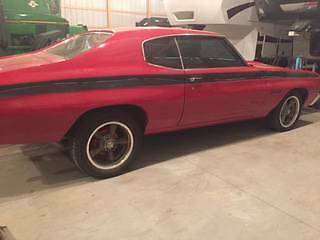 V-8 three speed on the tree . Very nice car , the trunk has some rust in the floor . Rest of the car is nice . Should run not sure on the condition of the motor . 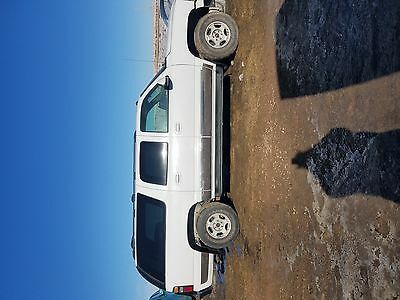 2004 Chevrolet Suburban 2004 chevrolet suburban-need to sell! Has a salvage title due to deer collision. All repairs have been done. Engine is solid. 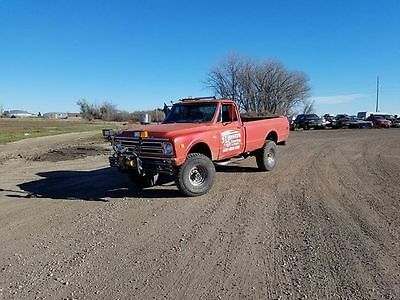 5.3L V8 4wd. It does have minor rust on the front wheel wells. It is having transfer case issues. We have removed transfer case so it isn't driveable. Transfer case we removed will be sent with truck. It will need to have the transfer case rebuilt or a new one installed. We just don't have time. HAPPY NEW YEARS!!! FAST AND FUN. THIS CAMARO Z28 HAS T-TOPS AND BLACK LEATHER WITH A 6 SPEED MANUAL TRANSMISSION. POWER SEAT AND ICE COLD AC. STOP IN TODAY FOR A TEST DRIVE. TRADES WELCOME. We are located in Hartford, SD (about 20 minutes West of Sioux Falls). Please feel free to come by for a test drive or email any questions. We can also be reached at 605-528-3030 Please click here to see our >>> Other Items <<< WE ARE OFFERING AN INCREDIBLE NEW YEARS SALE... THIS EBAY PRICE INCLUDES ALL OF THE FOLLOWING: 1. An extra $150 OFF ALL OF OUR ALREADY LOW INTERNET PRICING 2. FREE 3 MONTHS / 3,000 MILE POWER TRAIN WARRANTY w/ $0 DEDUCTABLE (OR $399 TOWARDS ANY OTHER OPTIONAL EXTENDED WARRANTY) 3. Document fee IS INCLUDED in the ebay auction price. THIS A TOTAL VALUE OF $698 FOR ONE WEEK ONLY, PROMOTION ENDS WHEN THIS AUCTION ENDS!!! HERE ARE A FEW REASONS HOW OUR CARS, VANS, OR TRUCKS WOULD MAKE A GREAT GIFT FOR A LOVED ONE: 1. NO HIGH PRESSURE TACTICS AND NO ADVERTISING GIMICS. 2. All our vehicles are personally inspected, cleaned, and serviced before we put them on the lot for sale. 3. Our cars have hold up to the brutal extreme temperatures with lowes near -27F. 4. We have great relationship with local repair shops and verify all repairs we have done are done right. 5. We have over 15 years combined experience. 6. We specialize in pre-owned cars, trucks and sport utility vehicles. 7. We have great reviews because we treat our customer’s right. 8. If needed, we can help find the right financing and service contracts. Credit Application is available directly from our website. 9. We are family owned and service our cars like they are part of the family! 10.If needed, we can work with you on having your vehicle shipped. 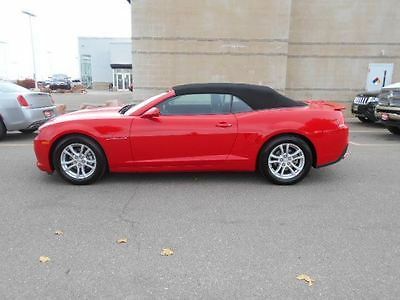 2015 Chevrolet Camaro LT Don't miss this great Billion Auto vehicle! 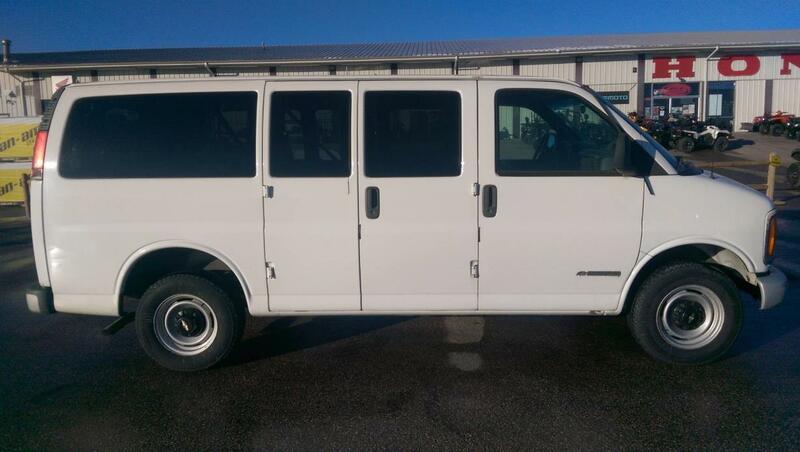 $21,995 Call: (888)535-7606 Visit Billion Auto online to see the details of over 6000 vehicles! Let us finance you! OPTIONAL EQUIPMENT º ENGINE, 3.6L SIDI DOHC V6 VVT WITH E85 CAPABILITY º TRANSMISSION, 4-SPEED AUTOMATIC, ELECTRONICALLY CONTROLLED WITH OVERDRIVE FEATURES º 4-Wheel ABS º 4-Wheel Disc Brakes º 6-Speed A/T º A/C º A/T º Adjustable Steering Wheel º Aluminum Wheels º AM/FM Stereo º Auto-Off Headlights º Auxiliary Audio Input º Auxiliary Pwr Outlet º Back-Up Camera º Bucket Seats º Cloth Seats º Convertible Soft Top º Cruise Control º Daytime Running Lights º Driver Air Bag º Driver Vanity Mirror º Electronic Stability Control º Emergency Trunk Release º Fog Lamps º Front Floor Mats º Front Reading Lamps º Gasoline Fuel º Intermittent Wipers º Keyless Entry º Leather Wrapped Steering Wheel º Locking Rear Differential º MP3 Player º Navigation from Telematics º Passenger Air Bag º Passenger Air Bag Sensor º Passenger Vanity Mirror º Power Door Locks º Power Driver Mirror º Power Driver Seat º Power Passenger Seat º Power Steering º Power Windows º Premium Sound System º Rear Defrost º Rear Parking Aid º Rear Spoiler º Rear Wheel Drive º Remote Trunk Release º Satellite Radio º Side Air Bag º Side Head Air Bag º Steering Wheel Audio Controls º Telematics º Tire Pressure Monitoring System º Tires - Front Performance º Tires - Rear Performance º Traction Control º Transmission w/Dual Shift Mode º V6 Cylinder Engine º Vehicle Anti-Theft System º Wireless Cell Phone Hookup STANDARD EQUIPMENT º Air bags, dual-stage frontal, and thorax and head side-impact, driver and front passenger includes Passenger Sensing System (Always use safety belts and child restraints. Children are safer when properly secured in a rear seat in the appropriate child restraint. See the Owner's Manual for more information.) º Air conditioning, single-zone manual º Air filtration system with pollen filter º Alternator, 150 amps º Antenna, AM/FM located in rear spoiler º Antenna, OnStar and SiriusXM Satellite Radio fin-type, body-color, located on decklid º Audio system feature 7-speaker system including 8" subwoofer and a 2 channel amp º Audio system feature, USB port, located in center console º Audio system, 7" diagonal Color Touch screen display AM/FM stereo º Axle, 3.27 ratio º Battery, maintenance-free with rundown protection and retained accessory power º Brakes, 4-wheel antilock, 4-wheel disc (Single piston front brakes with super corner rear brakes.) º Chevrolet MyLink includes Bluetooth streaming audio for music and select phones; Hands-Free smartphone integration º Compass, located in Driver Information Center º Console, floor, with armrest º Convertible top, power folding includes glass rear window with integral defogger º Cruise control, electronic with set and resume speed, steering wheel mounted º Cup holders, 2 front º Daytime Running Lamps within low beam headlamp º Dead pedal, driver º Defogger, rear-window, electric º Differential, limited slip (Included and only available with (MN6) 6-speed manual transmission.) º Directions and Connections plan for 6 months including Automatic Crash Response, Stolen Vehicle Assistance, Roadside Assistance and Turn-by-Turn Navigation. (Visit On Star for vehicle availability, details and system limitations. Services may vary by model and conditions.) º Door handles, body-color º Door locks, power programmable with lockout protection º Driver Information Center, monochromatic display º Engine, 3.6L SIDI DOHC V6 VVT (323 hp [240.8 kW] @ 6800 rpm, 278 lb-ft of torque [375.3 N-m] @ 4800 rpm) º Exhaust, dual-outlet stainless-steel with bright tips º Fascias, front and rear body-color with front grille and rear diffuser º Floor mats, carpeted front º Fog lamps, front projector type º Glovebox, lockable º Headlamps, halogen composite with automatic exterior lamp control º Hood blanket º Instrumentation, analog includes speedometer, tachometer, fuel gauge and engine temperature gauge º LATCH system (Lower Anchors and Top tethers for CHildren) for child safety seats º Lighting, front reading lamps º Map pockets, front doors º Mirror, inside rearview manual day/night º Mirrors, outside power-adjustable body-color º Moldings, body-color lower rocker º Power outlets, 2 auxiliary 1 located in center console storage area and 1 located at front of center console º Rear Park Assist, Ultrasonic º Rear Vision Camera display integrated into Color Touch Radio º Rear Vision Package includes (UD7) Rear Park Assist and (UVC) Rear Vision Camera º Rear wheel drive º Remote keyless entry º Safety belt pretensioners driver and front passenger º Safety belts, 3-point, all seating positions º Seat adjuster, driver, 6-way power (fore/aft, up/down, tilt) with power recliner º Seat adjuster, front passenger, 6-way power (fore/aft, up/down, tilt) with power recliner º Seat trim, Sport Cloth seat trim º Seats, front Sport bucket includes adjustable head restraints and fixed rear seat (Includes passenger-side seatback map pocket.) º Shift knob, leather-wrapped º (Prepaid subscription not included with used vehicles) SiriusXM Satellite Radio is standard on nearly all 2015 GM models. Enjoy a 3-month All Access trial subscription with over 150 channels including commercial-free music, plus sports, news and entertainment. Plus you can listen to SiriusXM Internet Radio everywhere on your computer, smartphone or tablet. Welcome to the world of SiriusXM (SiriusXM subscription extended to a full year. IMPORTANT: The SiriusXM Satellite Radio trial package is not provided on vehicles that are ordered for Fleet Daily º Spoiler, rear º StabiliTrak, stability control system with traction control º Steering column, manual rake and telescopic º Steering wheel controls, mounted audio controls º Steering wheel, 3-spoke leather-wrapped º Steering, power, variable ratio º Suspension, Sport º Theft-deterrent system, PASS-Key III º Tire Pressure Monitor System º Tire sealant and inflator kit in place of spare tire º Tires, P245/55R18 touring, blackwall, all-season º Trunk emergency release handle º Trunk release, remote, located on driver-side º Visors, driver and front passenger vanity mirrors º Wheels, 18" (45.7 cm) painted aluminum º Windows, power with driver and passenger Express-Down/Up º Wipers, front intermittent 2015 Chevrolet Camaro LT Billion Auto 5910 S Louise Ave Sioux Falls, SD 57108 Call: (888) 535-7606 DISCLAIMER: Please contact the dealership for equipment details. The equipment listed on this website is standard to this vehicle when it was new. Equipment may have changed. This vehicle data is compiled from publicly available sources believed by the publisher to be reliable. Data is subject to change without notice. The publisher assumes no responsibility for errors and/or omissions in this data and makes no representations express or implied to any actual or prospective purchasers of the vehicle as to the condition of the vehicle, vehicle specifications, ownership, vehicle history, equipment/features, price or warranties. Vehicle availability subject to prior sale. Prices do not include tax, title, and license. 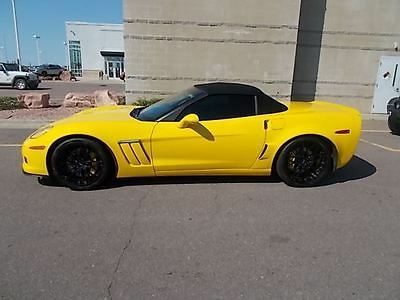 2011 Chevrolet Corvette Z16 Grand Sport Don't miss this great Billion Auto vehicle! $47,995 Call: (888)535-7606 Visit Billion Auto online at BillionAuto.com to see the details of over 6000 vehicles! Let us finance you! OPTIONAL EQUIPMENT º Magnetic Ride Control º Navigation System FEATURES º 4-Wheel ABS º 4-Wheel Disc Brakes º 6-Speed A/T º 8 Cylinder Engine º A/C º A/T º Adjustable Steering Wheel º Alarm º AM/FM Stereo º Auto-Off Headlights º Auxiliary Audio Input º Auxiliary Pwr Outlet º Bucket Seats º CD Player º Climate Control º Convertible Soft Top º Cruise Control º Daytime Running Lights º Driver Air Bag º Driver Illuminated Vanity Mirror º Driver Lumbar º Driver Vanity Mirror º Dual Zone A/C º Electrochromic rearview mirror º Electronic Stability Control º Fog Lamps º Front Floor Mats º Front Reading Lamps º Gasoline Fuel º Heads-Up Display º Heated Driver Seat º Heated Mirrors º HID headlights º High Output º Intermittent Wipers º Keyless Entry º Keyless Start º Leather Seats º Leather Wrapped Steering Wheel º Locking Rear Differential º Mirror Memory º MP3 Player º Navigation from Telematics º Passenger Air Bag º Passenger Air Bag Sensor º Passenger Illuminated Visor Mirror º Passenger Lumbar º Passenger Vanity Mirror º Power Door Locks º Power Driver Mirror º Power Driver Seat º Power Passenger Seat º Power Steering º Power Windows º Premium Sound System º Rear Body Air Bag º Rear Defrost º Rear Wheel Drive º Remote Trunk Release º Satellite Radio º Seat Memory º Side Air Bag º Steering Wheel Audio Controls º Telematics º Tire Pressure Monitoring System º Tires - Front Performance º Tires - Rear Performance º Traction Control º Transmission w/Dual Shift Mode º Trip Computer º Universal Garage Door Opener º Vehicle Anti-Theft System º Wireless Cell Phone Hookup STANDARD EQUIPMENT º Air bags, frontal and side-impact, driver and front passenger with Passenger Sensing System (Always use safety belts and the correct child restraints for your child's age and size. Even in vehicles equipped with air bags and the Passenger Sensing System, children are safer when properly secured in a rear seat in the appropriate infant, child or booster seat. Never place a rear-facing infant restraint in the front seat of any vehicle equipped with an active frontal air bag. See the Owner's Manual º Air conditioning, dual-zone automatic climate control with individual climate settings for driver and right-front passenger and outside temperature display º Air filtration system with pollen filter º Antenna, integral, hidden º Audio system feature, Bose premium 7-speaker system º Bluetooth for phone personal cell phone connectivity to vehicle audio system and HMI (Human Machine Interface), with specific steering wheel controls º Brakes, 4-wheel antilock, 4-wheel disc º Cargo net, in rear compartment area º Console, floor 2 covered cup holders, ashtray with cigar lighter, auxiliary power outlet and CD storage º Cruise control, electronic with set and resume speed º Daytime running lamps º Engine access, rear-opening hood º Engine, 6.2L V8 SFI (430 hp [320.6 kW] @ 5900 rpm, 424 lb-ft of torque [572.4 N-m] @ 4600 rpm) º Exhaust, aluminized stainless-steel with 3" polished stainless-steel tips º Floor mats, carpeted º Fog lamps, front, integral in front fascia º Glass, Solar-Ray light-tinted º Headlamps, dual projector lamps, Xenon, High-Intensity Discharge (HID) low-beam tungsten-halogen high-beam with automatic exterior lamp control º Head-Up Display with dot-matrix readouts for street mode, track mode with g-meter, vehicle speed, engine rpm and readings from key gauges including water temperature and oil pressure º Instrumentation, electronic analog with Driver Information Center and 2-line display º Lighting, interior with courtesy, cargo and glovebox º Memory Package, recalls 2 driver "presets" for 6-way power seat, outside mirrors and telescoping steering column º Mirror, inside rearview auto-dimming with compass, includes dual reading lights º Mirrors, outside heated power-adjustable and driver-side auto-dimming, body- color º Oil life monitoring system º Rear wheel drive º Seat adjuster, driver 6-way power º Seat adjuster, front passenger 6-way power º Seats, heated driver and front passenger º Steering column, power telescopic with manual tilt º Steering wheel controls, mounted audio controls º Steering wheel, 3-spoke leather-wrapped º Steering, power, speed-sensitive rack-and-pinion, variable ratio º Storage, with lockable glovebox, center console and 2 rear compartments with covers º Tire Pressure Monitor System air pressure sensors in each tire with pressure display in Driver Information Center º Trunk release, push button open º Universal Home Remote includes garage door opener, 3-channel programmable, located on driver visor º Visors, driver and front passenger illuminated vanity mirrors º Windows, power with driver and passenger Express-Down º Wipers, front intermittent º (Prepaid subscription not included with used vehicles) XM Radio is standard on nearly all 2011 GM models and includes 3 months of trial service. Get over 170 channels, including: commercial-free music, sports, news, talk, entertainment, comedy, family and kids' channels, and much more. With XM's incredible range of programming, everything worth listening to is on XM (3 trial months replaced with 1-year subscription. Includes hidden antenna in outside mirrors. Requires a subscription sold separately by XM after the first year. Available only in the 4 º (Prepaid subscription not included with used vehicles) XM Radio, 1-year subscription (Requires a subscription sold separately by XM after the first year. Available only in the 48 contiguous United States and District of Columbia. Visit gm.xmradio.com for details. Service not available with a ship-to of Alaska, Hawaii, Puerto Rico or the Virgin Islands.) º Z16 Performance Package, performance-oriented package for the Gymkhana/Autocross enthusiast; includes extra cooling, stiffer springs and stabilizer bars, specific shock absorbers, larger brakes with 6 piston front and 4 piston rear cross-drilled rotors, specific tires and Z16-specific 6-speed manual when ordered with 6-speed manual transmission or (GU2) performance axle ratio with 6-speed paddle shift automatic 2011 Chevrolet Corvette Z16 Grand Sport BillionAuto.com 5910 S Louise Ave Sioux Falls, SD 57108 Call: (888)535-7606 DISCLAIMER: Please contact the dealership for equipment details. The equipment listed on this website is standard to this vehicle when it was new. Equipment may have changed. This vehicle data is compiled from publicly available sources believed by the publisher to be reliable. Data is subject to change without notice. The publisher assumes no responsibility for errors and/or omissions in this data and makes no representations express or implied to any actual or prospective purchasers of the vehicle as to the condition of the vehicle, vehicle specifications, ownership, vehicle history, equipment/features, price or warranties. Vehicle availability subject to prior sale. Prices do not include tax, title, and license.